Hey, look, more than most people, I can well appreciate what it's like to take a gig just to pay your IRS tab. 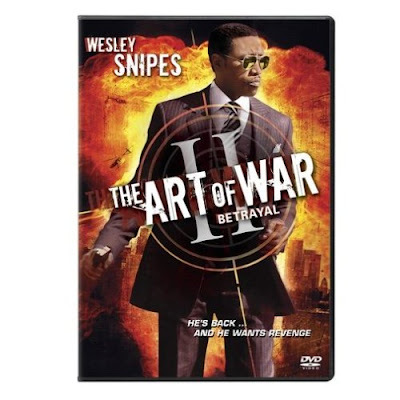 But, geez, did Wesley Snipes -- a damn fine actor, especially in indie movies like The Waterdance and the under-appreciated ZigZag -- really need to do another direct-to-DVD movie like The Art of War II: Betrayal? You can read my Variety review here. any word on SCORPION KING 2?